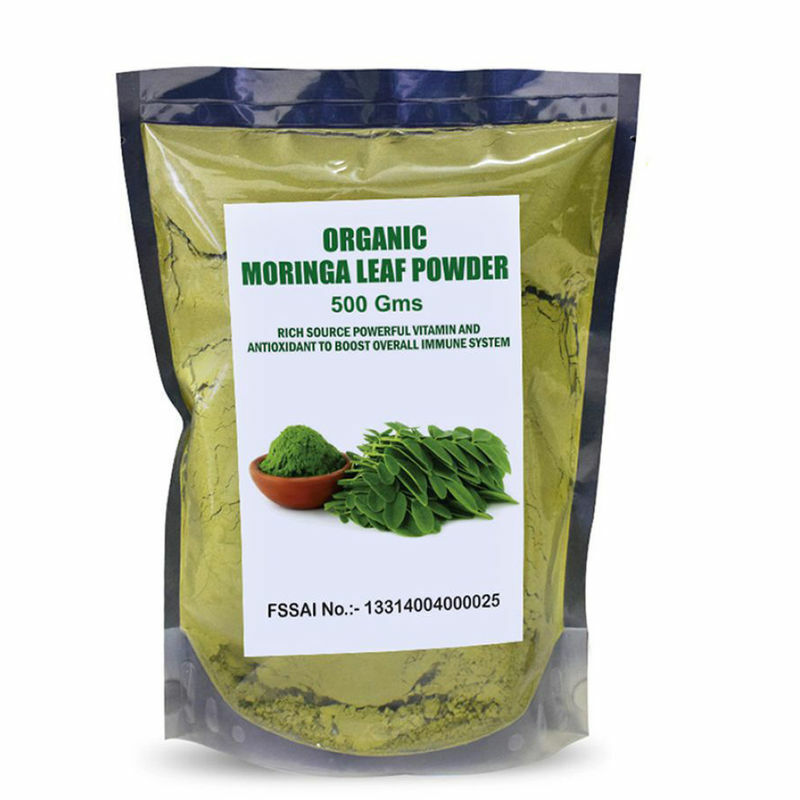 Choose to live healthy with NutraVigour Organic Moringa Leaf Powder. This superfood dietary supplement is enriched with the goodness of approximately 20 types of amino acids, 46 types of antioxidants, 36 anti-inflammatory compounds make for the best natural nutritional supplement. Made from whole leaves and containing Vitamin A, Vitamin B, Vitamin B1, Vitamin B2, Vitamin B3, Vitamin B6, Vitamin C (Ascorbic Acid), Vitamin E and Macro Minerals, Trace Minerals and Phyto nutrients, they are a good source of bio available quality protein and pure supplement to boost your health regime. 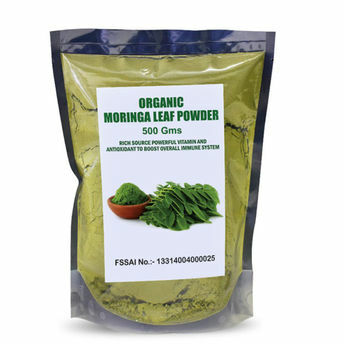 Made from whole leaves of 100% organic Moringa. Contains 20 types of amino acids, 46 types of antioxidants and 36 anti-inflammatory compounds. Effective against excision and incision wounds. Possesses antipyretic and wound healing properties. Enriched with multi-Vitamins, antioxidants, energy boosting and alkalizing properties. Accerlates the heart beats and constritis the blood vessels. Additional Information: Established in 2009, Perennial Lifesciences Pvt. Ltd. is a ISO Certified manufacturer, exporter, trader and supplier of herbal extracts, fruit and vegetable powder. Their product range is HACCP Certified and is manufactured in accordance to GMP which also compiles norms under WHO and USFDA Guidelines. They are HALAL Certified as well and the products are processed as per the industry guidelines with the use of best quality ingredients procured from reliable and dependable vendors and are produced under observation of well trained professionals.